ARTMARK provides many value-added services which help you, our customer, to purchase your electrical material requirements in a fast and efficient manner. A wide range of inventoried items, a very knowledgeable sales team, and an experienced shipping department which handles the coordinating and consolidation of your orders are just a few examples of the services we provide you. Since 1945, Artmark Associates, Inc. has been an industry leader as a top supplier and exporter of a full range of electrical construction materials. Artmark is a full-line stocking export distributor. We respond to your urgent delivery requirements by carrying more than 2,000 items in stock at our 40,000-square-foot modern warehouse located in Miami. This also gives us the ability to consolidate cargo from various manufacturers for you. Over the years our markets have expanded. Whether your needs are in the Caribbean, Central & South America, or the Middle East, ARTMARK has a multi-lingual export department totally dedicated to serve you. Our sales staff, with more than 50 years combined experience, has an extensive knowledge of the export laws and regulations, as well as excellent relations with the ocean carriers to facilitate the shipping process of your orders. Because of our fundamental customer focus, ARTMARK recognized the value of "quality customer service" a long time ago. ARTMARK is a firm believer in doing things right that we make all efforts possible to get our shipments out on time as you require. At ARTMARK, we understand our customers, so we can effectively meet their complex and expanding needs. 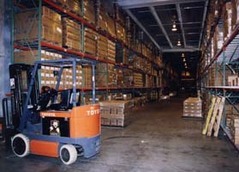 ARTMARK's warehousing & distribution techniques have been carefully coordinated and organized so that our warehouse team can receive, inspect, select, ship and deliver your orders as efficiently as possible. We at Artmark have designed our company around you, our customer, to meet your current needs! To be our customers’ supplier of choice and to be recognized as the industry leader for quality products, customer service and innovative supply management programs.